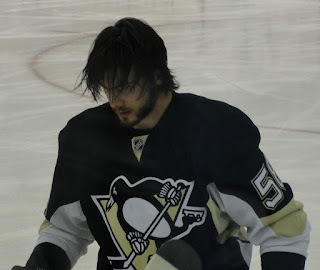 Hockey hair makes me happy. Every guy who ever laces up his skates dreams of having flow on the ice. Hockey guys don’t always change their lucky socks or air out their stinky gear but they all want to look like Ryan Smyth did in warm ups: Head up, doing laps with brown mane blowing in the wind behind his neck. Awesome hockey hair doesn’t just grow itself, you know. It takes care, grooming and determination. You must work on your mane like you work on your shot. If you have naturally curly hair, you will need the most products to keep your frizz in check. You simply cannot over-condition frizzy hair. You need a heavy conditioner for use every time you wash your hair, and a deep conditioner for use once a week. 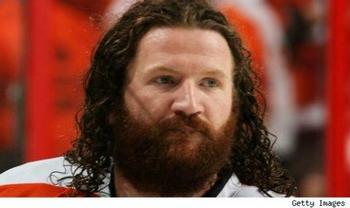 Someone please tell this to Scotty Hartnell. If you want to keep the curls, go loose not tight. Also, and this is important, go soft not crunchy. There’s nothing worse than locking lips in a passionate embrace and reaching up to touch his hair only to cut yourself on metallic hard spikes. Consider a styling cream created for curly hair to enhance your curls without giving them a crunchy hard shell. Rub it in and let hair air dry. In the end, the less you mess, the better - The more you play with your curls whether its blow drying them, scrunching them, etc., the better chances you'll get frizz. You can style hair by twisting curls around your finger, letting them lay to air dry or you can go with the Commodore look. a pubic-like beard. It’s a shameful disaster. If you’re curly and want to go straight, good luck. Seek professional guidance. If you have straight hair….score! If it’s thick and healthy….hat trick! Wash it with a good shampoo, condition a couple times a week and voila Henrik Lundqvist. Mousse can provide volume for men with thinner or fine hair. Wear mousse on a daily basis to create a natural and easy-to-manipulate hairstyle. Be careful what products you use. Pomade for example is often recommended for the messy look. Be warned; when too much is applied, it might give your hair a greasy look. 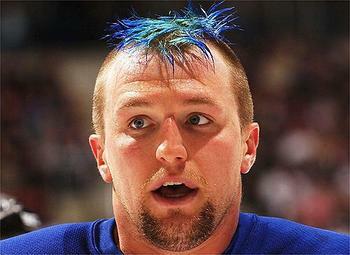 Something tragic has happened to one of the best heads of hockey hair ever. 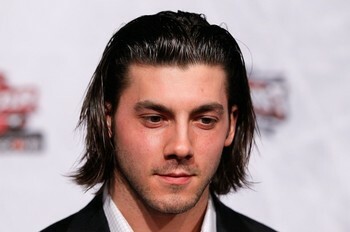 Kris “LeSex Hair” Letang has bought into the greasy look. Of late he has lost his flow and found an oil slick. If you’re balding, I'd like to offer a word of caution : Skullet. The Skullet for those of you who don’t know is the term for still having a party in the back but no business up front. 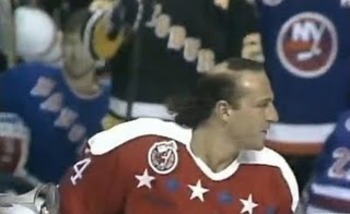 For an example of the skullet, look no further than Al Iafrate at the 1993 NHL All-Star Game. He rocked this skullet when his slapshot set the NHL Skills Competition record—which stood for 16 years—at 105.2 mph. The skullet is usually sported by that one guy who refuses to look in the mirror and realize A) He isn’t 25 and B) His forehead is a five-head. I can appreciate the grief of losing your hair but either buy some new hair or shave it all off. The next major consideration for hot hockey salad is cut. Getting the layers right early on in the growth process is the key to success. No hair cut has ever been associated with a sport like the mullet is with hockey. Some say mullets can be found in history as early as 14th century B. C. Though the mullet’s popularity reaches beyond hockey (David Bowie, Uncle Jessie, Rod Stewart, Paul McCartney, MacGyver to name a few), no one embraces the mullet like hockey players. 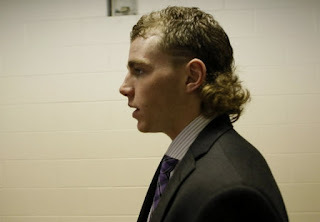 Long lost to mainstream haircuts the mullet is still going strong in the hockey world. Maybe it’s just the way I was raised but I despise a mullet. I know what you’re thinking….that’s like a Canadian saying they don’t like Poutine. I can appreciate the glorious history of the mullet but I’m afraid Whenever I hear someone mention a mullet my thoughts immediately go to Jamir Jagr. When he rocked the mullet he seemed to be a modern day Sampson. 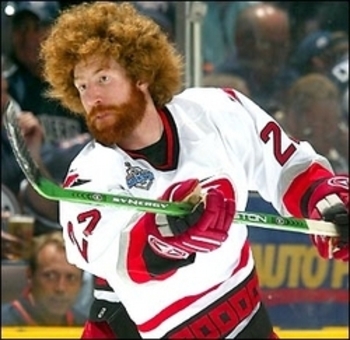 His powerful slapper, his hockey IQ and his passing skill flourished with the growth of his ridiculous curly cascade. However, we all know the fate Jagr suffered when he sheared his mullet. He wondered from NHL team to NHL team until he hid in the relative obscurity of the KHL’s Avangard Omsk (2008 – 20011) only to emerge looking used and defeated with wiry gray straw for hair. 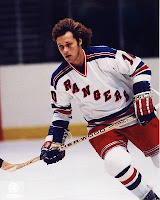 Let his story serve as a lesson to all who doubt the power of hockey hair. The mullet is attempted by many but few pull it off with legend status. 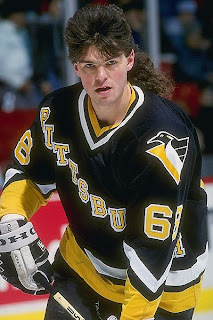 Arguably the two greatest players to ever shoot a puck, Mario Lemieux and Wayne Gretsky, are both reformed mullet wearers who have gone on to sport great hair in their retired player days. Proving there is hope for those who have strayed into the mullet abyss. An even worse choice by Kaner (worse than punching a cabbie) was his decision to attempt a playoff beard with said curly mullet. May I remind you that just like certain clothing isn't for everybody or one size doesn't fit all, hockey hair isn't right for everyone! If you're a true hockey player, your skills will speak for themselves, get you girls, and gain you the respect of others so please...think twice if not, 3 times before doing something ridiculous. Some grow righteous playoff beards, some grow flow-licious hockey hair. Rarely can one man pull it all together and rock the combo. My vote for best over all playoff appearance goes to James Neal. His hair is long but the layers are still obvious with the hint of a curl on the end. His ginger beard is perfection in fullness as well as growth wrapped around that mischievous smile. 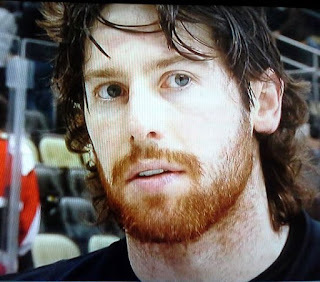 Yes, I know this is the same James Neal who famously proclaimed in 24/7 that he doesn't wash his hair often. I don't care! It's my post and some men get a pass. I'm pretty sure he could show up drenched in odoriferous hockey sweat, dirty hair and emitting gas and would likely score. Barry Melrose was born with a mullet. Barry Melrose rocked a mullet his entire hockey career. 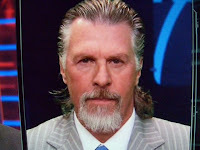 Barry Melrose still sports a healthy mullet. Barry Melrose will die with a mullet. Ron Dougay did not have a mullet. What he had was a thick layered mane that was straight but voluminous and full. Dougay has aged well. He still sports a head full of hair styled in a all over layered look. The Hanson Brothers. Not a bad head of hockey hair to be found in that family. Jeremy Roenick: I would like to punch him in the eye and then duct tape his mouth shut. HOWEVER, he grew some wicked hockey hair. 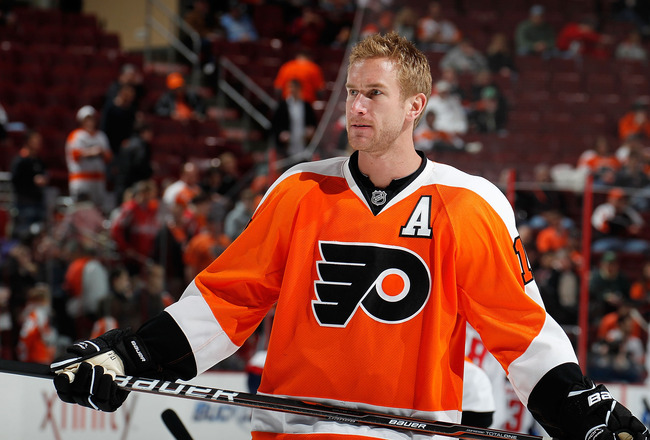 Jeff Carter. 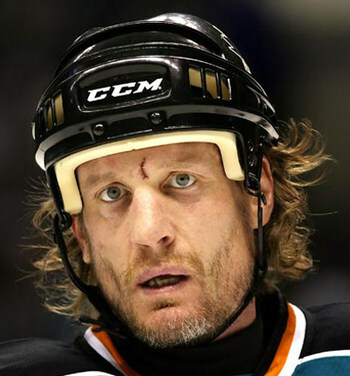 Not all hockey hair has to be long and flowing or mulletfied. While I'm not big into blondes, Carter has found a way to make the Hockey metro look work. 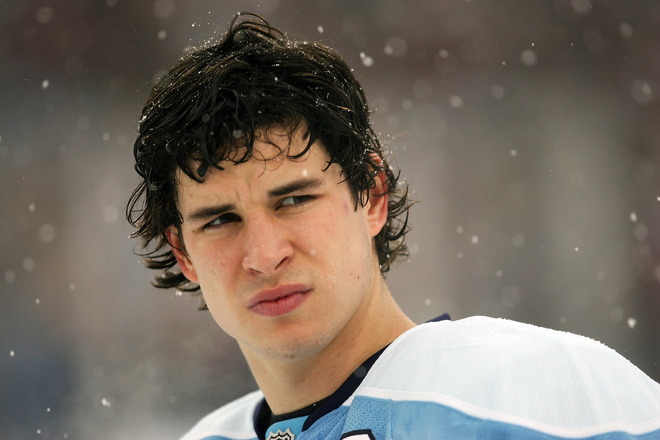 Sidney Crosby has good hockey hair. It looks good short. It looks extra good long with the loose curls. It looks good wet and it looks good dry. As this picture will attest, his hair looks good in the snow. Patrick Sharp is sitting in his stall answering questions after a game and his hair is gorgeous. 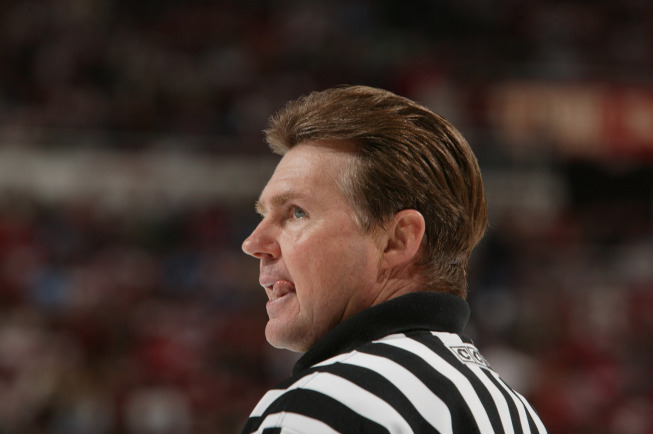 Kerry Fraser hockey analyst, spokesman for the CNIB, and former senior referee in the NHL. He called over 1,900 regular season games and over 260 Stanley Cup playoff games since he joined the league in 1980 and in each one, his hair was perfect.